Real. Good. Food. Since 1929. 89 years ago, Anna Miller served chicken & waffles to truckers as her husband repaired their rigs. It was a simple dish, but it was always served up with a smile. Today our tried & true recipes may not be as simple, but they are prepared with the freshest ingredients … and they are still served up with a smile. If you miss Miller’s, you miss Lancaster County. 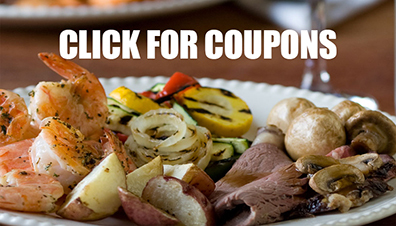 CLICK FOR FOOD & SHOPPING COUPONS. Menu Dining is Returning by popular demand on May 6, but is not available at this time. Please accept our apologies for this temporary inconvenience. In addition to our world famous traditional smorgasbord dinner, we offer two lunch and dinner options for those with lighter appetites. Wine, beer, spirits and cocktails are also available. Don’t go home empty handed. 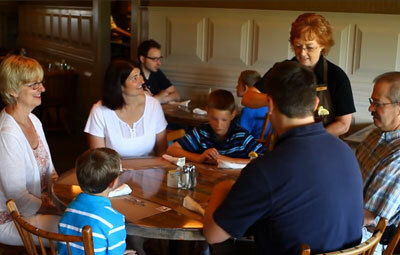 There’s more to Miller’s than great food, so plan on spending a little time in our shops. If you’re waiting for a table, you’ll be able to hear your ticket number throughout the property. After exploring our Gift & Bake Shop, head over to Locally Made Food Shop, Mt. Hope Winery, The Bible History Exhibit, Ruthie’s, and our Quilt Shop, featuring more than 1,000 handmade quilted items from Amish, Mennonite and other local artisans. * Please note that the video states that Menu Dining starts at $7.99. The video is incorrect. Menu Dining actually starts at $8.99. Please accept our apologies for any inconvenience. Thank you. Click below for food and shopping coupons.